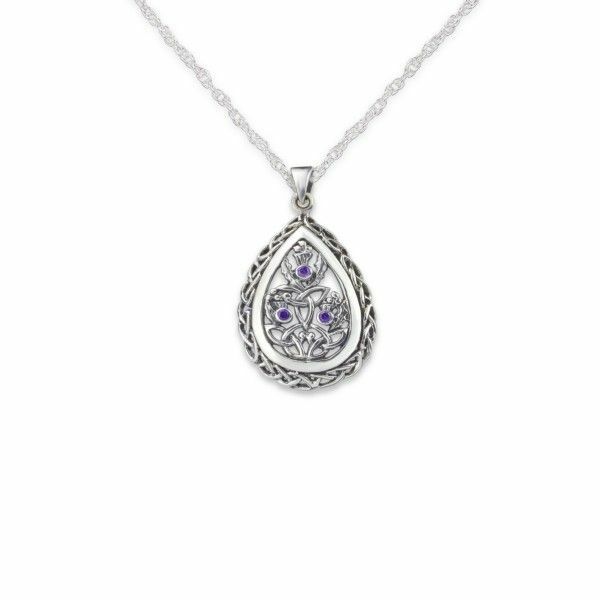 Our stunning Outlander Inspired Silver Teardrop Thistle Pendant is decorated with stunning Amethyst colour stones and is designed to match our highly popular Outlander Inspired Silver Ring. 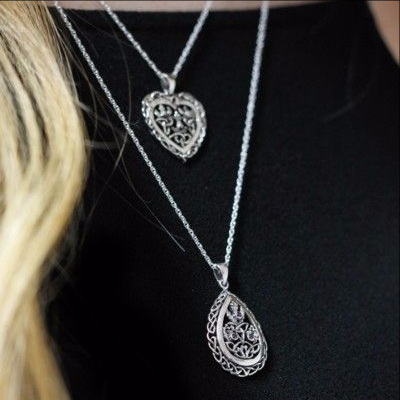 You can find the same design in a gorgeous heart shape as well - 9688. Crafted entirely of the finest 925 Sterling Silver, it features the same small Jacobean Thistle blooms interspersed with Celtic Knots. 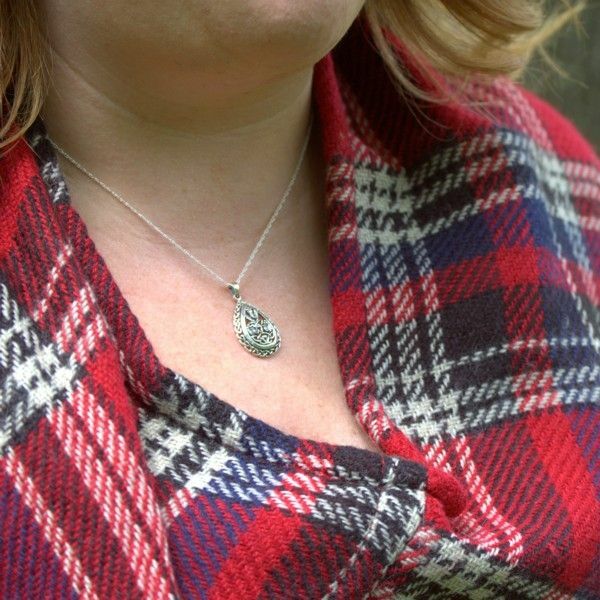 Delicately embossed around the top of the heart is Jamie's clan crest motto - 'Je Suis Prest' and the entire pendant is surrounded by Highland Knotwork. Size (approx) - 25mm x 20mm. 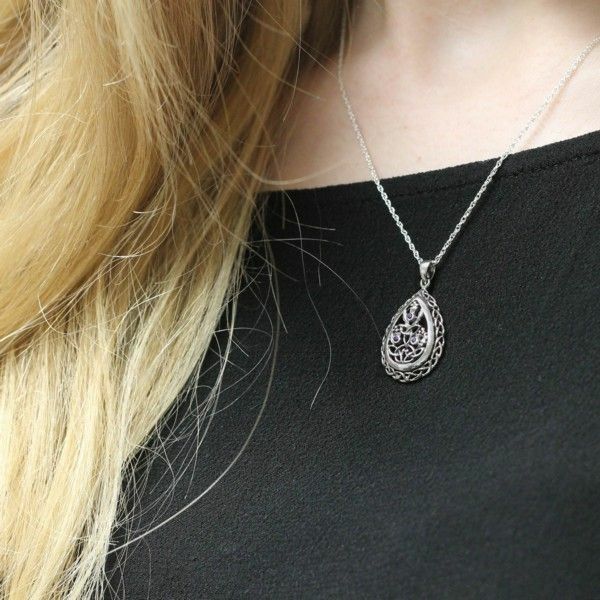 This delicate pendant has been designed to match our Outlander Inspired Ring which can be found by clicking here.